See how others live in comparison to you all around the world with Dollar Street, you might learn something. Around the world, everyone lives on some sort of income. While we have incomes of different amounts, we all need the same basic things to live. It’s just harder for some in places. 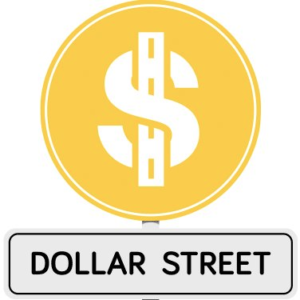 Dollar Street wants people to imagine that we all live on the dollar street, with the poorest living to left and the richest to the right, everyone else is somewhere in between. Explore different families from all around the world, and how they live on a certain amount of money each month and in different places. 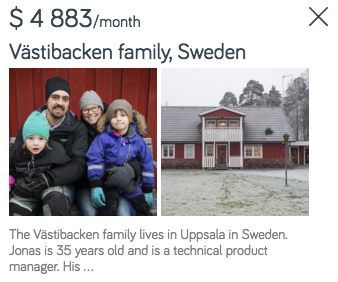 Pick a family and explore the city in which they live, what their monthly income is, what each family member does for a living, the inside of their homes and more. Explore how the poor around the world live, and the richest. Many think people from other parts of the world as scary or exotic, but that’s because they don’t know. Dollar Street wants to show that, that isn’t the case. We hear and sometimes see how people all over the world live, but Dollar Street really gives people the opportunity to explore how others live. Photographers have taken over 5000 photographs in over 50 countries, and that number is growing. Stop guessing how others live, and really see what it looks like with Dollar Street.